Edward L. “Eddie” Brandt, 71, of Syracuse passed away on Monday at Upstate University Hospital after a brief illness. Edward was born on March 20, 1948 the son of the Stanley Niewinski and Inga Brandt. 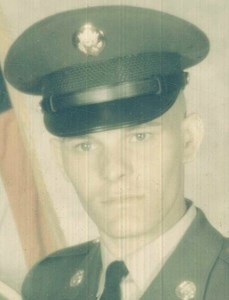 Ed served in the US Army during the Vietnam War and last worked at the Home Depot in East Syracuse. He also enjoyed fishing, camping and crocheting. Edward is survived by his friend, Robert Ingerson, his mother Inga, brothers, Joseph (Kim) Brandt, Pete Niewinski, sisters, Barbara McConnell, Kathy (Joe) Betelak, along with nieces, nephews and friends. He was predeceased by his father, Stanley and his niece, Tina Campbell. A memorial service will be held on Friday 11am at New Comer Cremations & Funerals, 705 N. Main St., N. Syracuse. To share a memory of Eddie or leave a special message for the family, please click the Share Memories button above. Add your memories to the guest book of Edward Brandt. I will always cherish the fun memories that I have with my brother-in-law Eddie. He always had a quick wit with him, as well as a charismatic personality. Eddie always made you laugh, just by being him. He always made me feel comfortable from the minute he showed up. I love you my "brother"... Til' we meet again.